ChristeningWardrobe.com is a family owned and operated business. Their tradition began in 1910 when a gown was picked out for a little boy’s christening. 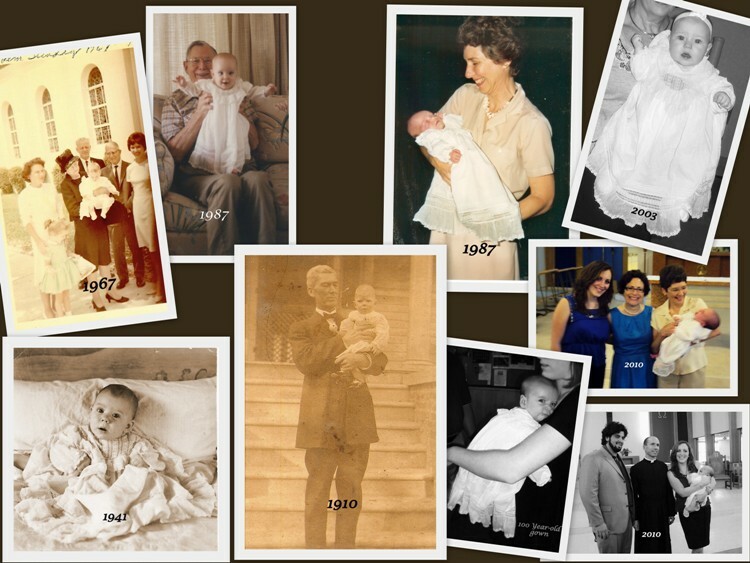 The christening gown has remained in their family and, one hundred years later, little “Jack” was baptized. He was the twelfth child to wear the gown, proving that a gown of quality would become a true heirloom. Jim wanted others to be able to experience the joy of purchasing a heirloom quality gown or outfit and so, the idea for ChristeningWardrobe.com was born. Will’beth customer since 2010, you can email them for special orders!